Paris Program Closes for Spring. Founding Director Leaves. Trinity in Paris, one of the College’s most distinctive study abroad program since 2006, is cancelled for spring 2019. Students will not be able to study at Trinity’s Paris campus this spring. Last week, one of the program’s founding directors, Francie Plough Sader, “left Trinity’s employ,” according to Lucy Ferriss, who is the interim director in Paris right now. Jennifer Summerhays, Director of the Office of study away, also confirmed this. Summerhays said, “the onsite director for the Paris program left Trinity’s employ last week. The Paris program has not been cancelled; rather, it will take a hiatus in spring 2019 and relaunch in fall 2019 with a new format.” The Trinity in Paris website, under “Dates + Fees,” also confirms the hiatus. Seder wrote a goodbye message on the “Trinity College in Paris” Facebook page last Monday, September 24. “It’s just a goodbye…Thank you to all former students, current students and all teachers and collaborators who made these years of Trinity in Paris unforgettable.” Seder studied French at Trinity and spent her own junior year in Paris. Since moving to Paris in 1988, after receiving her M.A. from Middlebury, she has lived and worked there ever since. 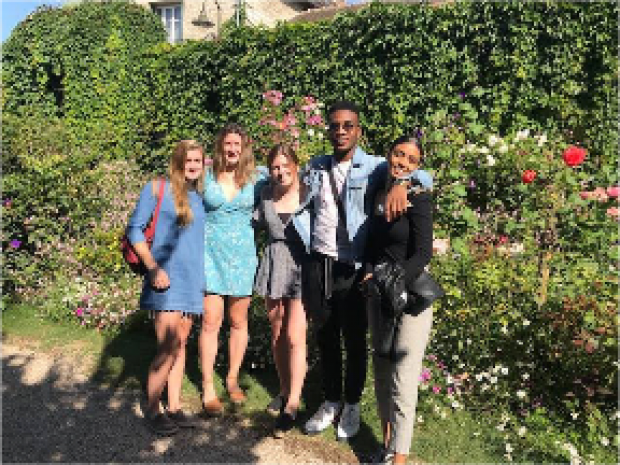 The College has accommodated and given program options for students who have applied to study away in Paris in the spring, according to Summerhays. Lindsay Oliver, the study abroad advisor for Paris, “has done a great job meeting with each student individually,” says Summerhays. Emily Clifford ’19, who studied in Paris last spring, as well as Maddie Nelson ’19 and Louisa Mahoney ’19 have characterized the French college-student mentality as, “college is a joke” in France. They are worried that partnerships with Parisian universities could result in Trinity students sitting in on large classes in which they are treated as “numbers” and won’t be called on if they raise their hands. Clifford enjoyed her experience in Paris. And there was originally no indication that the program was suffering, she says. Everything was “brushed under the rug.” But at the final dinner at the end of the spring semester, Seder “indicated that the program would be no longer be [sic] in the coming years.” And during the summer, she would see tours led by French real estate agents bringing in people, showing them the space. Louisa Mahoney ’19 also studied in Paris in the spring and lamented the lack of tours and events planned by the program. She, along with Nelson, had to mostly figure out things to do themselves, while their friends at other programs constantly had “hands on” experience. The College has not released information about the changes they will make to the restructured program in fall 2019.